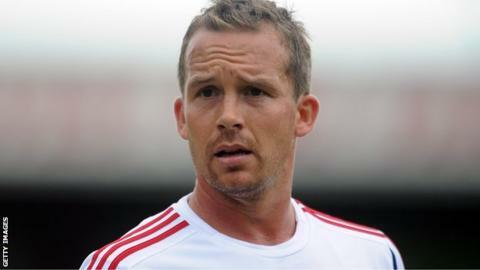 Bolton Wanderers captain Kevin Davies is close to agreeing a deal to move to MLS side Toronto FC. The striker, 36, is out of contract this summer and has already been told he will not be offered a new deal. BBC Radio Manchester understands that Bolton are willing to allow the striker to leave before the end of the season. The former England striker has not been in Bolton's recent matchday squads and the last of his 38 appearances for them this season was on 16 March. Davies joined Bolton on a free transfer from Southampton in the summer of 2003, having failed to make an impact following a £7.5m move to Blackburn. The striker scored in the 2004 League Cup final defeat by Middlesbrough and played a key role during Wanderers' run in the Uefa Cup in 2007. At the age of 33, he made his solitary appearance for England, as a substitute in a Euro 2012 qualifier against Montenegro at Wembley. After the club was relegated last season, Davies agreed a new one-year deal at the Reebok Stadium but now looks set to join up with former Blackburn, Tottenham and QPR defender Ryan Nelson, who is head coach at Toronto.